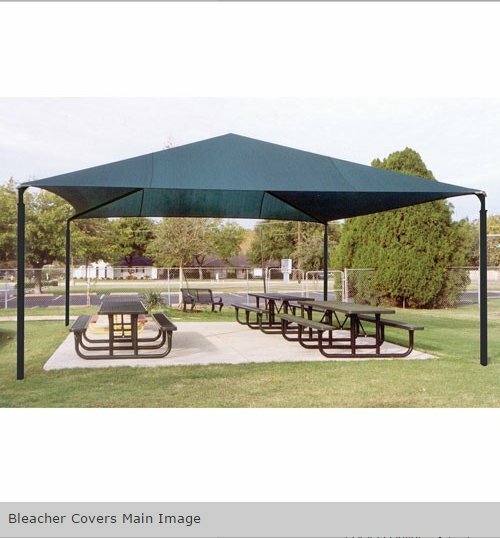 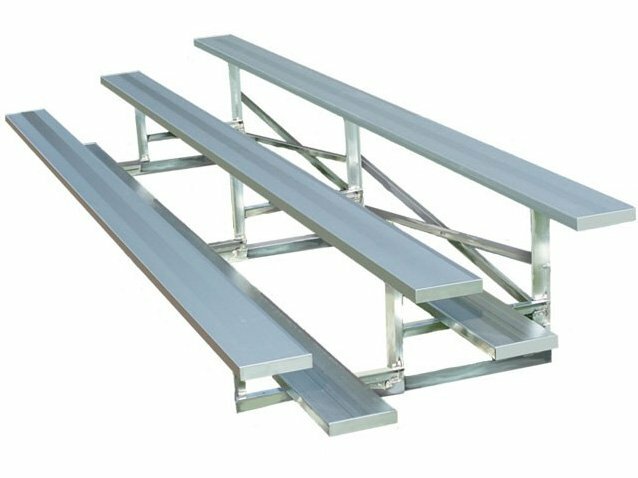 Keep your bleacher seating costs low with our everyday for sale prices! 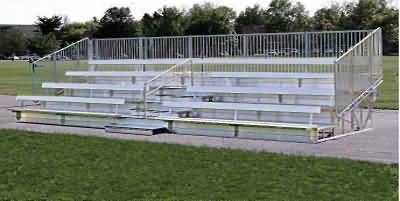 Here you’ll get the largest amount of seat capacity for the buck! 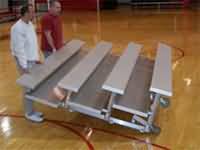 Large selection for stadium to gymnasium. 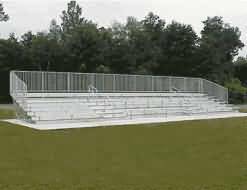 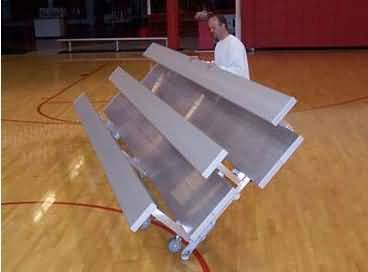 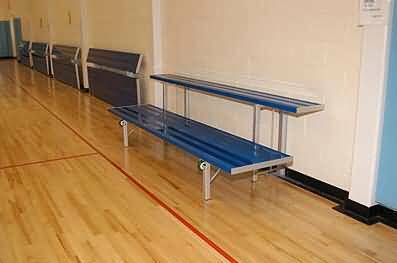 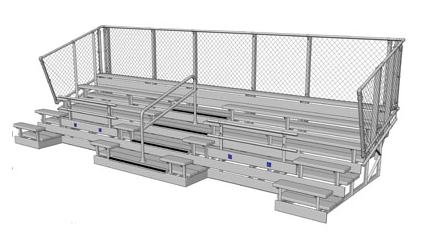 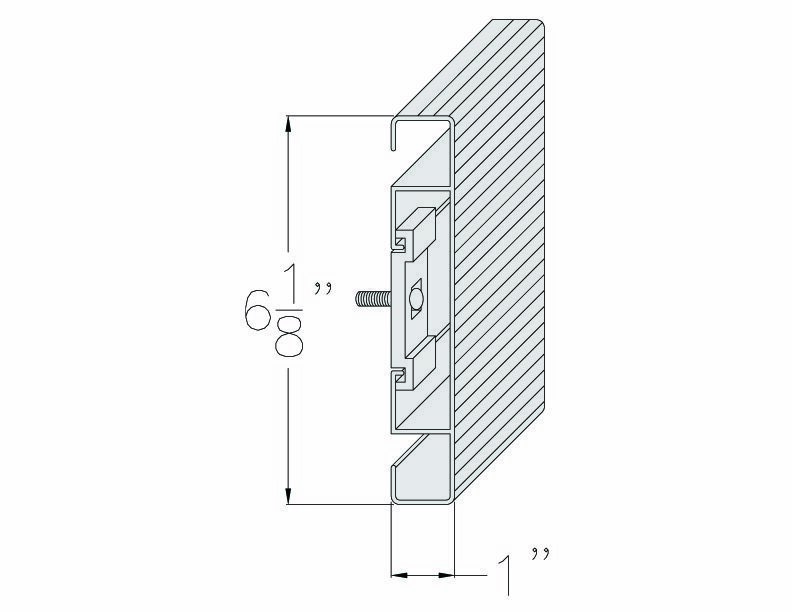 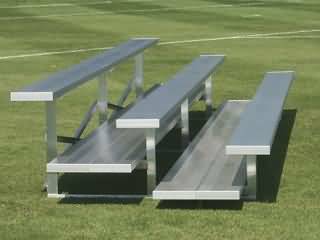 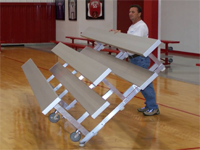 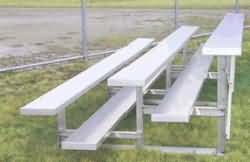 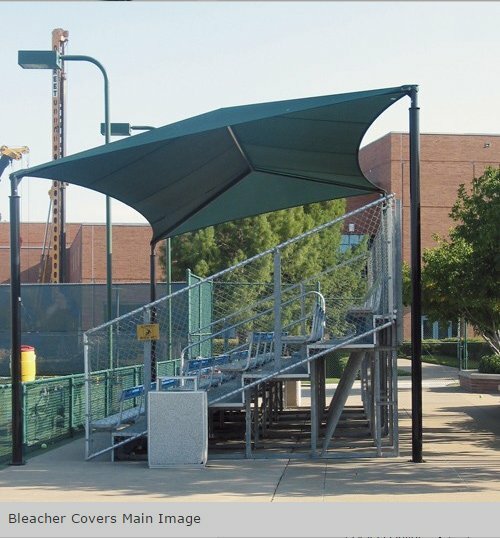 BuiltRiteBleachers can make our standard set of bleacher any length that you desire up to 20 rows tall. 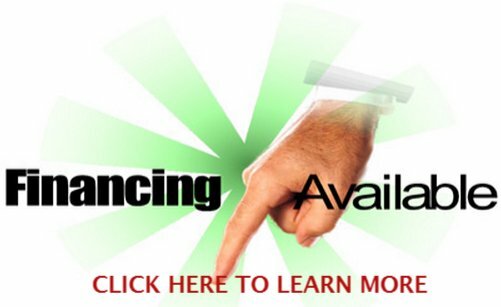 For a custom quote please click here. 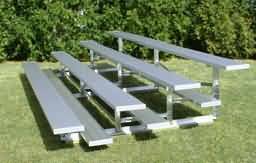 5 row 15'L deluxe bleachers Seats 42, 1139 lbs. 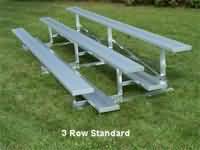 5 row 21'L deluxe bleachers Seats 58, 1307 lbs. 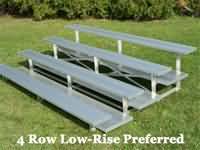 5 row 24'L deluxe bleachers Seats 68, 1483 lbs. 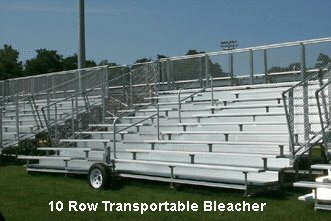 5 row 27'L deluxe bleachers Seats 74, 1604 lbs. 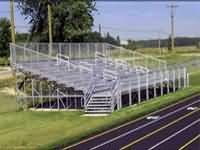 4 row 19.5' Closed Deck Aluminum Bleachers with Back. 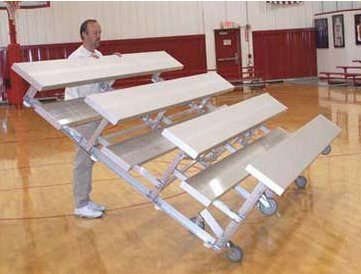 Custom Elevated Bleachers is a term used to describe a type of bleacher that when seated on the first row, your feet are elevated on a platform above ground level (typically about 36" above the ground). 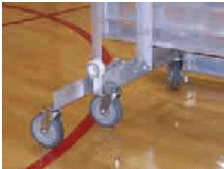 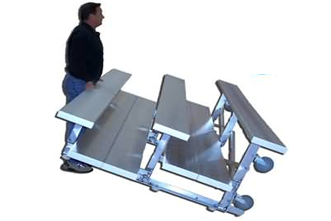 Available in Standard (single footplank), Preferred (double footplank), and Deluxe Models (double footplanks with aisles and handrails), can also be configured with wheel chair cutouts and companion seating for ADA access. 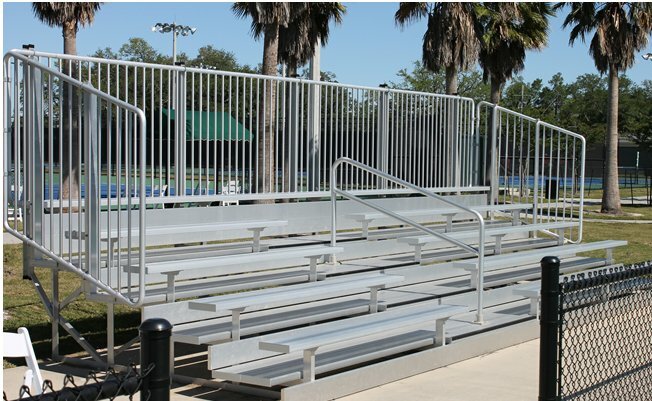 Elevated Bleachers are typically used in areas where a fence or other obstruction will impair the vision of spectators in the first few rows. 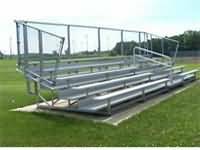 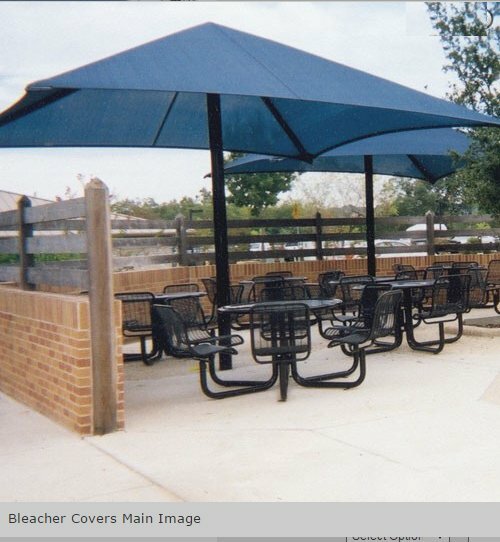 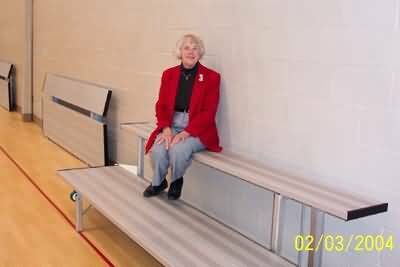 To obtain a custom quote for elevated bleachers click here. 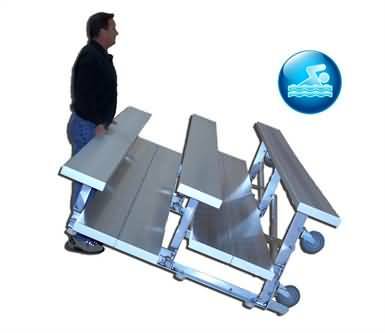 We offer factory trained assembly service nationwide on large projects only.